Over the past 15 years Advance Uruguay has specialized in many different types of document translation services (legal, medical, technical, financial and others). We also provide website translation. Our company is headquartered in Montevideo, Uruguay. 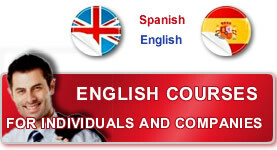 We translate from Spanish into English and from English into Spanish. Our translation team is comprised of in-house and freelance linguists, translators, interpreters and proofreaders, with a solid professional background in language translation and interpreting. We provide high quality services to individuals and all types of companies ranging from small businesses to large companies around the world. - Because we have a wide experience in translation services. Advance Uruguay is run by Prof. Laura Suárez, a graduated in TEFL (Teaching English as a Foreign Language), who has been doing translations for over 15 years. - Interpreter for Mr. Robert Radcliffe, a writer from Suffolk, England whilst his research in Uruguay for writing “Upon Dark Waters”, one of his latest books. - Because we work with highly qualified translators and interpreters. - Because we hand in our work on time. - Because our work is done seriously and responsibly.